Car accidents can have a devastating impact. When an accident happens, the person who caused the crash should be held responsible. However, it is important to understand exactly what it means to hold someone responsible for a motor vehicle accident. A person who causes a collision could sometimes be criminally responsible and face charges. The driver who caused the crash could also face civil liability and be held responsible for the monetary damages an accident caused to occur. There are different rules for criminal and civil liability, and car accident victims should understand these essential differences. 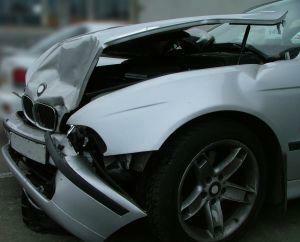 An Atlanta car accident lawyer can provide assistance in pursuing a civil claim for damages. A civil claim gives victims the chance to take legal action and prove a defendant was responsible for causing a crash to happen. Contact Van Sant Law, LLC today to find out more about what an attorney can do to help you make your case if you are a crash victim or if your loved one was killed in an auto accident. A recent tragic accident demonstrates the important differences between civil and criminal cases. NBC reported on the accident, in which there were four deaths and four injuries. The accident involved a limousine driver who was transporting eight women in their early 20's on a vineyard tour. The driver of the limo attempted to make a U-turn on a highway despite the fact that his vision was obstructed and he was not able to see oncoming traffic. A Jeep Liberty in the opposite lane obstructed his view, so it was not safe for him to make the turn he did. As he was turning, the limo was hit by a motorist alleged to be a drunk driver. An accident reconstruction specialist conducted an analysis to determine what occurred and found that the limo driver was actually at fault for the accident. As a result, the intoxicated motorist was charged only with offenses related to drunk driving while the limo driver was charged with four counts of criminally negligent homicide, four counts of assault, and reckless driving, among other crimes. The judge in the criminal case indicated he agonized over the decision, but he ultimately decided that the criminal charges against the limo driver had to be dropped because the law simply did not support the charges. The defense attorney who had defended the man in the criminal case indicated in a statement that: "the lines between civil and criminal liability were blurred here. The case was one in which the limo driver likely faces civil liability, as simple negligence is enough to make a driver responsible for the consequences of a collision. Criminal liability has different rules. In a civil case, not only are there different standards for when someone is held liable, but there is also a lesser burden of proof than in a criminal case. While a prosecutor in a criminal case has to prove beyond a reasonable doubt that a defendant violated the law, a civil case must be proved only by a preponderance of the evidence, or more likely than not. Both of these factors can make it easier for a victim to get a verdict against a defendant in a civil case, regardless of what happens in criminal proceedings. The Atlanta car accident attorneys at Van Sant Law, LLC can represent victims after a car crash. Call today at 404-991-5950 or contact us online to schedule your free consultation.